Every term we have a theme that ties our classes and activities together. This term we celebrated Botswana and the rich culture, industry and landscape that makes up our beautiful nation. 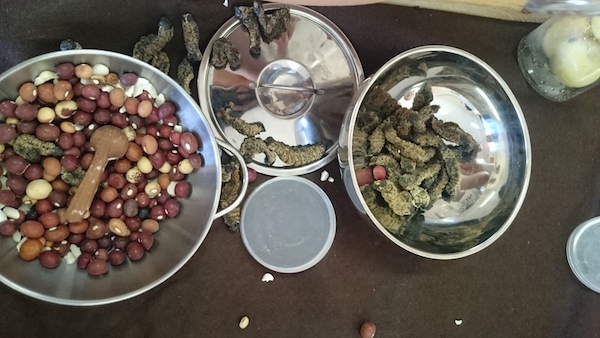 We played with traditional instruments, created pictures out of fabrics, celebrated the farming and diamond industries and those who were brave enough sampled Mmopane worms. Teacher Bame was a great facilitator and inspiration and she taught me how to play the traditional Tswana games of Mhele and Moraboraba…. 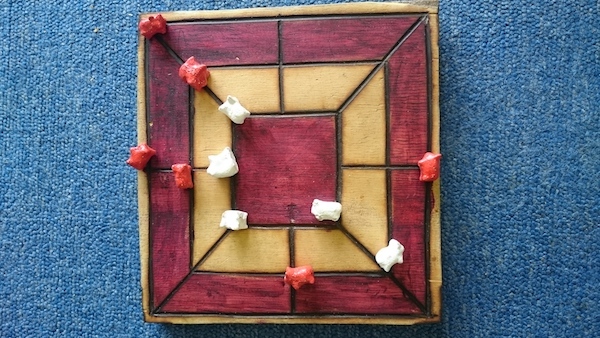 because we are never too old to learn new games! It’s a joy to see our SensoBabies develop. The SensoMini classes are full of toddlers who have been with us since birth (or before in some cases!) and our Tots have become remarkable, independent and creative thinkers. Saturday classes have been popular, and we will continue to run this next term. The bi-annual Sell it Mama event was another success this weekend! Families and entrepreneurs were able to sell their new or gently used items and the 140 people through our doors were able to grab a bargain. It’s one of the events that we feel proud of because we can see how much of a community we have grown through SensoBaby. Old faces, new faces and growing families who have allowed us to share their journey. 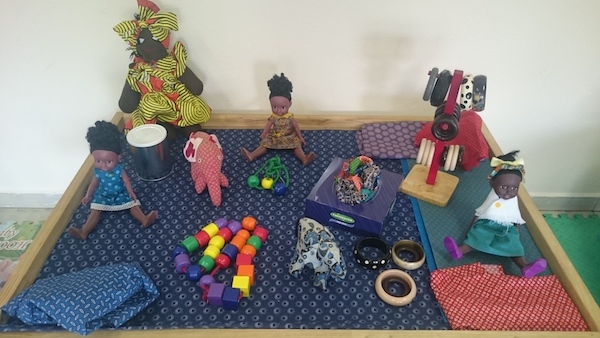 SensoBaby is proud to be a part of the Learn to Play/Ithute Go Tshemeka Project that brings play and early learning opportunities to disadvantaged communities. As well as consulting on the pilot, we have been able to visit the communities, make new connections and see projects that we are able to support through our own corporate responsibility programmes. Cuppa Love, our free coffee morning for new and expectant parents has continued this term. Our aim is to create a safe space and supportive environment for families to talk about their successes and struggles on their journey through parenting. Next term we will have talks from UB, showcase different products and services and offer tools and skills to new parents. We are also looking for dedicated volunteers to help run these important coffee mornings, so we can support more families in Botswana. The Friendly Start Project has been receiving many donations and we now have some great partnerships that can benefit from your kindness. Gomodubu Children’s Centre will be the recipient of clothes and toys; the village of Gopong have launched a support group for new mothers and we’ll be gifting them baby boxes to give them that loving, ‘friendly start’. Individuals from the community have reached out for support and we continue to encourage this as we help the families who wouldn’t otherwise receive assistance. We may all need a little extra help at times and shouldn’t be afraid to ask. This term, we decided to call our play sessions in the community, ‘Thrive’. Doctors, social workers, health professionals and NGO’s work tirelessly to help children to survive. As SensoBaby, we can help them to thrive. Play is an important and essential part of child development. The United Nations recognises the right of a child to play. We’ve enjoyed playing with the children at Childline and plan to extend the reach of our community play sessions. We were delighted to be invited to a soft launch of the new InPlay Centre and are pleased to announce that SensoBaby Members will receive 10% off next term when they show a valid membership card! 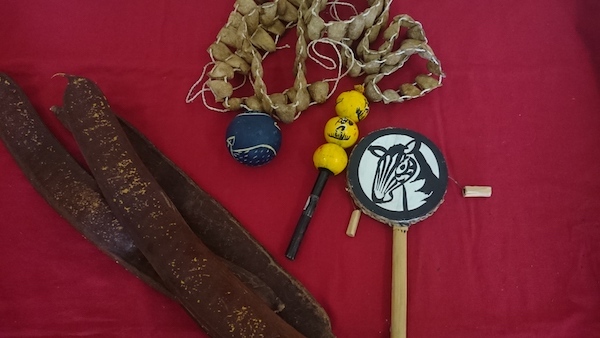 A new and exciting partnership with the Gaborone Employees Association will see SensoBaby holding sessions at the Recreation centre and helping to facilitate their holiday playschemes. We have now collaborated with so many businesses around town, working with companies who are eager to support families in Gaborone. We have already started planning to deliver the best service to our families and community next term. We know how important outdoor and nature play is to you and our sensory garden space will be ready for exploration. Our intention is to use it for each class, so we can incorporate so many new sensory elements. One of our strengths is our knowledge of child development and how to foster wellbeing in our infants and children. We are working on more ways to support parents and families along their journey and we’ll be more tools and guidance in our classes and through our trainings. We are so thankful to the support of our members and the wider community to come together to support our events and trainings. We hope you enjoy the break, whatever it has in store for you and we can’t wait to see you next term!